It’s our birthday! On October 1 it will be four years since we opened the doors at Baltzersen’s. And what a great four years we’ve had! We’ve been featured regularly in national magazines and newspapers, and were finalists last year in the Best Cheap Eats category of the Observer Food Monthly Awards. And just this week, we found out we’ve made the shortlist of the Eating Out with the Kids category of the Mumbler Awards (please do visit their website and vote for us!). 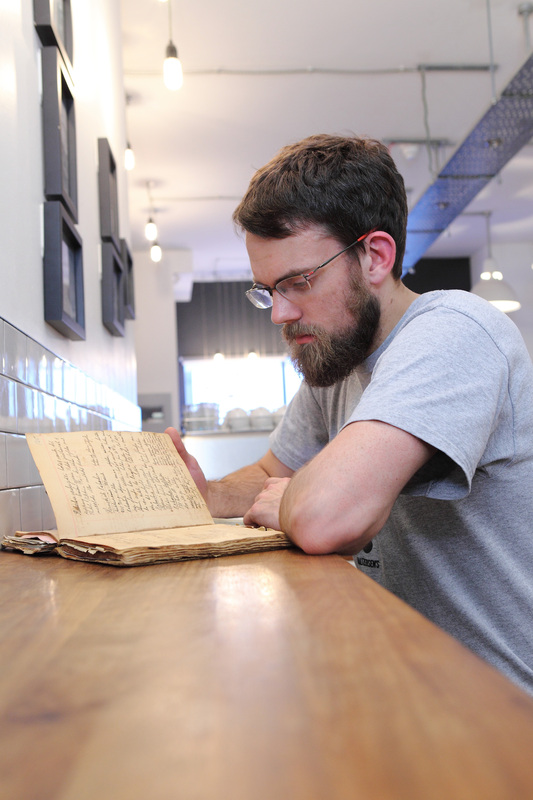 Baltzersen’s was launched in 2012 by Paul Rawlinson with the aim of bringing a Scandinavian-style café to Harrogate. 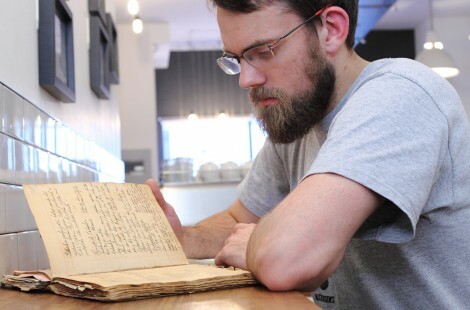 Paul took inspiration from his Norwegian grandmother’s handwritten cook book, and many of the items on our menu are made using those traditional recipes. It would seem that Paul was on to something, as Baltzersen’s has become a popular part of Harrogate’s café culture. We’ve stuck to what we know our customers love: simple, tasty Nordic-inspired food, amazing coffee, and delicious cakes and pastries – using Grandma Baltzersen’s authentic recipe book too, of course! 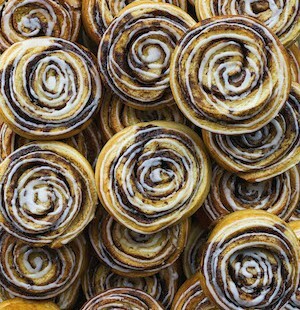 Talking of cakes and pastries, our best seller over the last four years has without doubt been the cinnamon bun. Last year alone, we sold an amazing 18,654 of them! 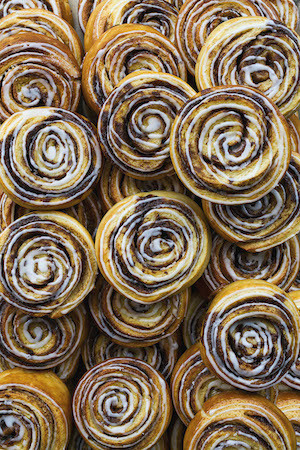 Our cinnamon buns are freshly baked at the café every day, sometimes more than once a day if there’s extra demand for them. Our second best seller has been our waffles, 10,557 of which were ordered over the last year. If you haven’t tried one yet, a good time to pop along is between 3pm and 4.30pm Monday to Friday, when we offer half price waffles. Great for an after-school treat with the kids! 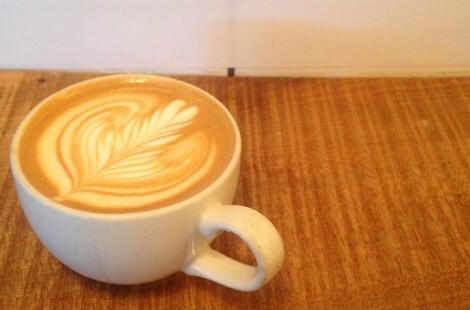 Our most popular coffee over the past year has been a regular latte, with 10,011 of them being sold. 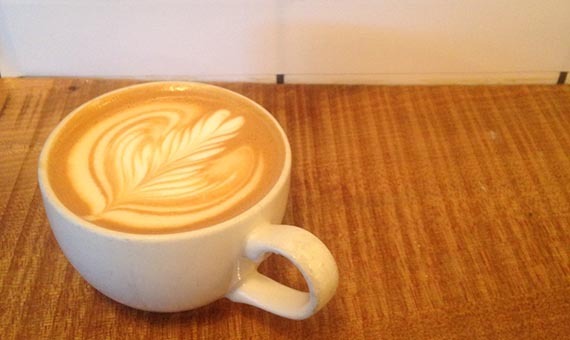 The second most ordered coffee was a flat white (9,349) then a large latte (8,847), regular cappuccino (8,257) and large cappuccino (6,145). That sure is a lot of coffee! Aside from coffee and cake, our best seller from our menu has been our hot meatball sandwich, with our chef making 6,526 meatball over the past year. We’re always thinking of new ideas to keep our customers interested and happy. For example, earlier this year, we launched a range of take-out sandwiches, available on their own or as part of a £6 meal deal of a sandwich, drink and brownie. We’ve been sharing lots of information, blogs and recipe ideas on social media. Our Facebook page has been liked by more than 2,700 people, and we’ve got in excess of 3,500 followers on Twitter. Our newsletter is sent out to more than 2,500 people. So thank you to all of you for following, liking and reading about us! In terms of the people that make the place run on a daily basis there have inevitably been lots of faces that have come and gone over the years. 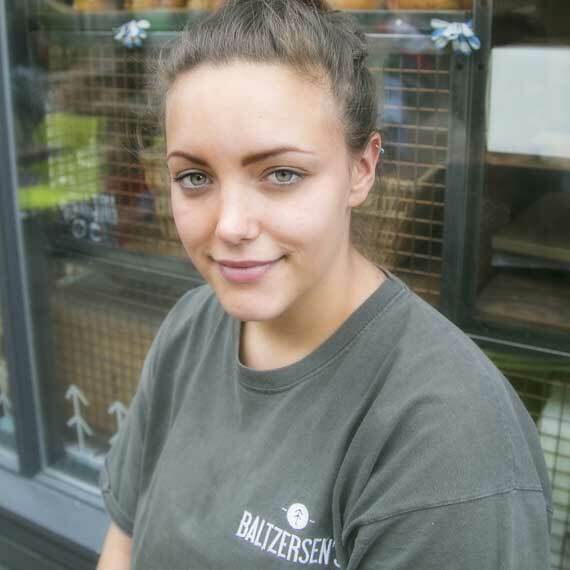 One face that has remained constant is Jess our Front of House manager whose 4th year at Baltzersen’s has finished in exciting fashion with news of her engagement. Congratulations Jess! So, what does the future hold for Baltzersen’s? Well, we’ll continue to provide all the things our customers love about the café – including the warm, relaxed atmosphere, the Nordic-style décor and, of course, our coffee and cinnamon buns (not to mention all the other great things on our menu!). We’ll carry on thinking up new food ideas, as well as fine-tuning our current offering and, of course, continuing to serve our best sellers. We’ll also be maintaining and strengthening our collaborations with other independent businesses in Harrogate. We’ve been working with our neighbours The Champagne Concept to provide a Champagne brunch from 10am to noon Friday to Sunday, with a choice of three food options and two glasses of wine or rose Champagne. Our #ThinkIndie blog which highlights all the brilliant independent shops, cafes, restaurants and bars in Harrogate will continue. It’s as important now more than ever as unfortunately in the last year we’ve seen a few businesses disappear, especially in our own sector where competition is fierce. If you have any suggestions of great indie venues we could feature, please do let us know. We’re hoping to have an announcement about a wider reaching proposal involving celebrating the indie businesses of Harrogate soon. 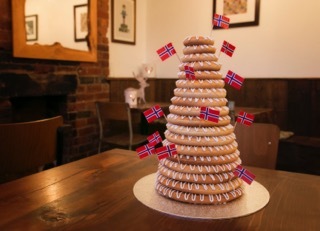 We’ve also got an exciting one-off event planned for the end of October with Norwegian baking star Signe Johansen who we have persuaded to come to Harrogate as part of her new book tour. Watch this space for more details coming very soon! Our loyalty card will continue to enable customers to get more from their visits, including point collection, extra discounts and free cake on their birthday. Over 1200 of you are on the scheme now. There will shortly be a new member of the Baltzersen’s family as owner Paul’s wife Katie is due to give birth to their second child in early November. As we’re on the subject of free birthday cake, in celebration of our fourth anniversary we’ll be serving with each coffee (while stocks last!) a bite-sized portion of kransekake, a kind of celebration biscuit popular in Norway and Denmark. You’ll also be able to see the team showing off their new work threads as we’ve had a little change on that front too. Lastly, we’d just like to say a massive thank you to everyone who has supported us along our journey over the last four years. We really couldn’t have done it without you!